Provide comfort for the family of Mary Anthony Rowell with a meaningful gesture of sympathy. Mary Anthony Cox Rowell, of Craftsbury, VT, passed away peacefully early Tuesday morning, January 15, 2019, at The Manor nursing home in Morrisville, VT.
Mary Anthony was born in Montgomery, Alabama, on April 14, 1932, the only child of Roy and Nora (Fly) Cox. Her mother was an accomplished pianist, and Mary Anthony showed signs of exceptional talent at the piano from a very young age, taking on piano students of her own by the time she was 12. At 16, she moved to France to further pursue her musical training and remained there for the next decade. She attended the Conservatoire National de Musique and studied with renowned teachers such as Nadia Boulanger (harmony and analysis), Robert and Gaby Casadesus, and Alice Gaultier-Leon (piano). Her experience in Paris in the immediate post-war period contributed to her lifelong love of French language and culture (which she would many years later take enormous pleasure introducing to her grandchildren on successive trips to Paris), as well as her penchant for thriftiness. Upon her return to the United States, Mary Anthony spent several years living and teaching in her home state of Alabama. In 1961, she moved to New York to attend the Juilliard School, and almost immediately upon her arrival her credentials as a European-trained expert in Ear Training were recognized by the school, which promptly tapped her to assist with its Ear Training program. Mary Anthony was appointed to a full teaching position in the department in 1964 while simultaneously working on her Bachelor of Music (and subsequently Masters of Music) degree in piano as a student of Rosina Lhévinne and JeaneaneDowis. She would remain at Juilliard for the next five decades, chairing the Ear Training Department and earning a reputation as a legendary pedagogue. Many of Mary Anthony’s former students at Juilliard have written of the seemingly infinite breadth and depth of her knowledge of music theory, and how their initial terror at attending their first classes with “Miss Cox” gave way to enthusiasm as her techniques clearly bore fruit. Common themes in their tributes are her consistently fair and caring approach to each and every one of her students, and her wise and candid guidance, often laced with her very distinctive brand of humor delivered in an Alabama accent she knew how to modulate for maximum effect. The 1960s were destined to be a very significant era in Mary Anthony’s professional career and in her personal life. In addition to her responsibilities at Juilliard, she was recruited by Rudolf Serkin to teach at the Curtis Institute of Music in Philadelphia. She also taught at the Dartmouth summer program and at the Universite de Montreal. Never one for idleness, in 1966 she joined her friends and fellow musicians Ann Rylands, Mary Lou Rylands and Allan Birney as founding members of the Craftsbury Chambers Players, a chamber group that has conducted a summer concert series in northern Vermont continuously since; she long served as the Players’ music director. Mary Anthony’s ties to Vermont were further cemented in 1974, when she married Morris Rowell, a widowed business owner and dairy farmer, whose family she had known since her first summer in the state. 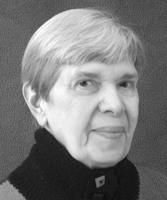 As could have been expected of a person as supremely organized as Mary Anthony, she quickly devised a work schedule that would have her commuting from Vermont to her teaching position at Juilliard every week, an astonishing rhythm she maintained until her retirement at the age of 81 in 2013. Mary Anthony was a loving and devoted wife to Morris; they talked on the phone twice daily while apart several days each week of the academic year. Two of Mary Anthony’s five teenaged step-children would ultimately follow her footsteps to Juilliard and to careers as musicians. Her spacious Manhattan apartment housed two generations of immediate family attending college and graduate school and beginning new careers in New York City. Her generous, open-door policy was greatly enjoyed and deeply appreciated by her many far-flung relatives and friends whenever they had cause to be in New York. After she and Morris became “empty nesters,” their sprawling farmhouse in Vermont became the Craftsbury Chamber Players’ summer residence, always filled to the brim with great music, much laughter and excellent food. She was predeceased by her husband of 43 years, Morris, in December 2017. Survivors include her step-children, Margaret Rowell and partner Saul Treviño of Craftsbury, VT; Mary Rowell of Craftsbury, VT; Frances Rowell of North Bergen, NJ; John Rowell and husband James Blue of New York, NY; and David Rowell of Craftsbury, VT; beloved grandchildren Katie Oswald and husband Timothy Oswald of Keene, NH; Annie Rowell of Craftsbury, VT; Carolyn Rowell and partner Elijah Mayhew of Hardwick, VT; and Alden Blue and Effie Blue of New York, NY; and great-grandchildren Eden and Atticus Mayhew of Hardwick, VT, and Zoë Oswald of Keene, NH. She is also survived by her sisters- and brothers-in-law Louise Kinsey, Eunice Kinsey, Alta Rowell, Marvin Rowell and wife Georgette, Ruth Rowell, Wilbur Rowell, Harriet Grenier and husband Charlie, and their families, as well as by many dear cousins in the Davis, Howell, Kahoe, Kerr, Nutt and Robinson families. Mary Anthony’s family would like to express sincere gratitude to the excellent caregivers at The Manor and the in-home caregivers of Northeast Kingdom Homecare, who provided loving comfort to her in her final years. A memorial service is tentatively planned for the summer during the regular season of the Craftsbury Chamber Players. Her ashes will be interred in a private service at the East Craftsbury Cemetery, where her final resting place will be next to her mother Nora and husband Morris. Contributions in Mary Anthony’s memory can be made to the Craftsbury Chamber Players, PO Box 37, Craftsbury, VT 05826, or online at www.craftsburychamberplayers.org. We encourage you to share your most beloved memories of Mary Anthony here, so that the family and other loved ones can always see it. You can upload cherished photographs, or share your favorite stories, and can even comment on those shared by others.